Ready for WrestleKingdom 13? If not, Kevin Carroll has you covered in his Beginner’s Guide to the biggest New Japan event of the year! In the world of professional wrestling, the fun never stops. That’s the beauty of the sport; there’s no offseason, and there’s always plenty of quality content coming down the pike so that our plates are never empty. That said, if you’re a WWE fan, the late December into early January stretch could be a bit slow. TLC seems like an eternity ago, and the Royal Rumble is still about a month away. You may be searching for some quality pro graps to fill that hole in your schedule in the meantime, yes? Well ladies and gentlemen, I’ve got some good news for you. Because you see, WWE isn’t all that’s out there in the pro wrestling universe, and if you’re willing to stave off sleep for a while, you may just catch the best pure wrestling on the planet come January 4th. 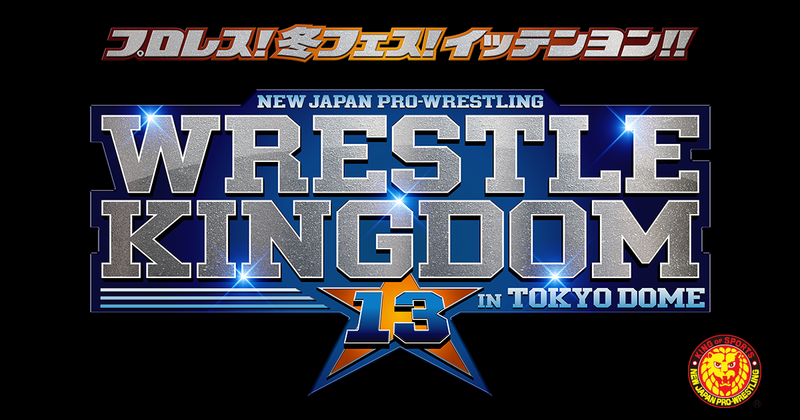 New Japan Pro Wrestling (NJPW), oft-considered the #2 promotion in the world behind WWE, will run its annual Tokyo Dome show, WrestleKingdom 13, on Friday morning, 2:00 a.m. Eastern Standard Time (I know, the first time I watched it, I was alarmed at that start-time too). What makes NJPW so special is that it strips away some of the hokeyness and pageantry that the WWE offers up, and instead highlights wrestling as pure sports, placing a focus squarely on the in-ring action. I was introduced to NJPW two years ago, and even though I haven’t become a die-hard or anything, I consider myself a follower and a lover of the Japanese approach to pro wrestling. WrestleKingdom is NJPW’s version of WrestleMania, so it draws in a lot of first-time viewers and casual watchers the way ‘Mania does in early April each year. Naturally, first-timers may be thrown off by the different wrestlers and the much-different style, so that’s where I come in. I’m no expert, I’m more of a layman, but I’ve decided to present you a match-by-match preview of WrestleKingdom through the eyes of a fan who knows juuuuust enough to offer such a preview. Hopefully, this opens some eyes and helps a few folks out as they prepare to pull an all-nighter and camp out for finest that Japanese wrestling has to offer. This match is going to take your breath away, and show you just how cool wrestling could be outside of the WWE. Kota Ibushi is the reigning NEVER champion, which is roughly the 4th-most important heavyweight title in Japan. It’s a belt that could be won by anyone, regardless of weight class (New Japan has a junior heavyweight/heavyweight system). Ibushi is a stud. He’s capable of working a stiff, strong style while also taking to the skies and flying with the best of them. If you’re a WWE fan, you would remember Ibushi from the Cruiserweight Classic back in 2016. If you have the time, go back and watch his matches. That’s only a small taste of what Kota offers in the ring. Across the squared circle from him is Will Ospreay, a junior heavyweight. Ospreay may be the best “high flyer” in the industry today, at only 25 years old. Ospreay stepped up and challenged Ibushi after he had just won the NEVER title back in December, and now the two are primed to kick off WrestleKingdom with a big ol’ bang. Okay, so there’s a lot to unpack here for a match that, in terms of importance and excitement, is probably the lowest-caliber contest on the card. A little backstory here: Each of these three teams represent three of the big factions in New Japan. Suzuki-Gun is being represented by El Desperado and Yoshinobu Kanemaru, Sho and Yoh of Roppongi3K are from CHAOS, and BUSHI and Shingo Takagi are from the Los Ingobernables de Japon (Most everyone in New Japan is in a faction, more on that later). The lads from Suzuki-Gun are the reigning champs, and their two challengers are challenging primarily because they’re really only the only junior heavyweight tag teams in New Japan. The tag team booking hasn’t been especially great in recent years from what I’ve noticed, so while the other matches all have some semblance of build-up, this one’s a little lacking. Not to say it won’t be entertaining, because I have a strong suspicion every match on the card will be, but it definitely gets better from here. This one’s interesting because it’s taking place for a title that doesn’t belong to New Japan, instead with the British promotion Rev Pro. As such, I don’t know too much about the booking and the backstory, but I do know these two dudes, and they’re both supremely different. Ishii is perhaps the best embodiment of the term “strong-style” that you’ll find on this year’s WrestleKingdom card. Big Tom is nicknamed the “Stone Pitbull,” and not for nothing, either. The man will rock you with an open hand so hard, your teeth will rattle around in your mouth. He hits hard, and doesn’t care if you could take it or not, making his matches brutally entertaining to watch. He’s the champ in this matchup. Across the ring, you have the submission magician in Sabre Jr. Like Kota Ibushi, Sabre was in that Cruiserweight Classic field a few years back, and he wowed the WWE crowd with his array of holds and submissions. He could win with roughly 12 different submission holds, so you never know just how his matches are going to go, which is a good thing. So to start, the Guerrillas (Tama Tonga and Tanga Loa) are the champs here, having knocked off the Young Bucks this past year. EVIL and SANADA from L.I.J won this November’s World Tag League tournament, earning themselves a spot in this match. The Young Bucks are here because you can’t leave the Young Bucks off the card, they make too much money for that. The main story here is between the Guerrilas and the Bucks, who all used to be in the Bullet Club stable together. Now, the Bucks have joined the Elite after a hostile takeover by the Guerrillas and some other Bullet Club members. There’s plenty of bad blood there. The World Tag League champs feel almost like an afterthought here, but EVIL and SANADA won the tag belts at last year’s WrestleKingdom, and could definitely do it again. Hey, you recognize these guys! That’s Cody Rhodes and NXT’s CJ Parker! Not anymore, as Cody’s been forced to drop his last name, and Mr. Parker let the Juice loose and turned into his current character, Juice Robinson. These two will do battle over Cody’s United States title, a heavyweight belt that’s been pretty much an afterthought recently. This will be the most “WWE” style match on the card, probably not too long and not nearly as innovative as some of the other contests you’ll see. Junior action! I’m not really sure how Ishimori got himself booked into this year’s Junior Heavyweight championship match, but I’m not complaining. Kushida’s been champ for a few months, after Hiromu Takahashi had to vacate the strap after a brutal-looking neck injury this summer. I have a feeling that this match was supposed to be Takahashi-Ishimori, but Kushida is spectacular in the ring, so I have no issues. Get well soon Hiromu! This match is always a threat to steal the whole darn show, because the juniors wrestle such a fast-paced, high-octane style that it’s impossible not to be entertained. Expect to have a lot of fun watching this one! Okada, “The Rainmaker,” had his record-setting reign as IWGP Heavyweight Champion shattered in June, and ever since then he’s been a little lost. Meanwhile, the CHAOS stable that he’s in charge of began to splinter, all due to one man: Jay White. Okada was beaten by White in the 2018 G1 Climax, a big round-robin tournament held at the tail end of summer, in an upset. Since then, White’s had Okada’s number in tag matches, so this will likely be the blow-off to their six-month long feud. Wait. Back up a second. Chris Jericho? He’s a WWE guy, how did he get here? Ahhhh, he WAS a WWE guy. Now, he’s a deranged IC titleholder in New Japan, defending the belt against the leader of Los Ingobernables de Japon, Tetsuya Naito. You already know all about Jericho. I really love Naito, he wears really dapper-looking suits to the ring and practices “tranquilo,” which basically means he’s super calm, the perfect foil to Jericho’s madman character. These two have been feuding for just about a year going back to last January, where Jericho, fresh off a loss to Kenny Omega at WrestleKingdom 12, jumped Naito at the following night’s New Year’s Dash event. Jericho beat Naito for the IC belt in June, and tried to decline a rematch, but it’ll be Naito-Jericho at the Tokyo Dome, and it should be a blast. The evening’s (morning’s?) main event, Kenny Omega defending the most prestigious championship in all of wrestling against the winner of the G1 Climax, Hiroshi Tanahashi. Tanahashi won the right to face Omega by winning the Climax, and defending his title shot against guys like Kazuchika Okada. Tanahashi is referred to as the “Ace” of New Japan, and a lot of people like to compare him to Joh Cena, which is pretty high praise if you ask me. He’s been heavyweight champ plenty of times, but he’s still evidently got some left in the tank as he preps to challenge for his 8th IWGP heavyweight title. He’s defended the belt against Cody and Tomohoro Ishii, among others, since winning the belt. He’s one of the hottest commodities in the sport, and if WrestleKingdom is your first exposure to him…get your popcorn ready. The man is a modern marvel. That’s the card! If you’re out there gulping down coffee and rubbing your eyes frantically in an attempt to stay awake like I’ll be, then I wish you good luck! 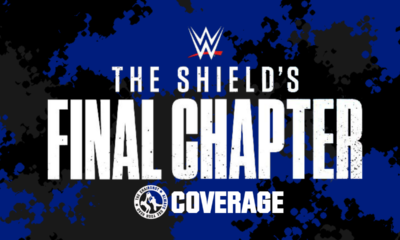 Enjoy the show, and consider sticking around on NJPW World, New Japan’s subscription streaming service, a little while longer for the January 5th New Year’s Dash event, where a lot of new storylines for 2019 will be kicked off! 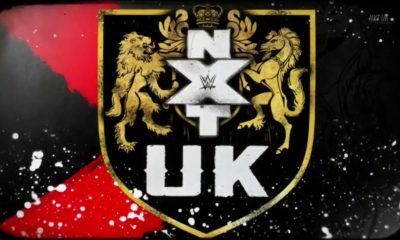 What does the next era of NXT hold? It’s WWE NXT: We’re moving on. We’re not bitter. We’re happy with what we have. 6. The WWE reeeeeally loves to screw with us. They spend weeks dumping on NXT then kick off a show with a 4.7 star banger?!?!?! Buddy Murphy is a big league striker. He packs a punch far above his weight class. Meanwhile, Velveteen Dream steals another victory. I like where they’re going with him. Shades of the Ultimate Opportunist. Living on the Edge of a Dream? 5. “Charlie Brown finally kicked the football.” Oh Mauro, sometimes you are just too good. 4. Dominik Dijakovic is in desperate need of a save. I have no idea what that promo was. Ancient Wicca prayer? Medieval magnet poetry? He is world class in ring and absolutely floundering on the mic. He’s so bad, it would be an upgrade if Io Shirai was his manager. 3. Speaking of promos, Johnny Champion adds another layer to his story. Johnny Smartass absolutely crushed Adam Cole on the mic. 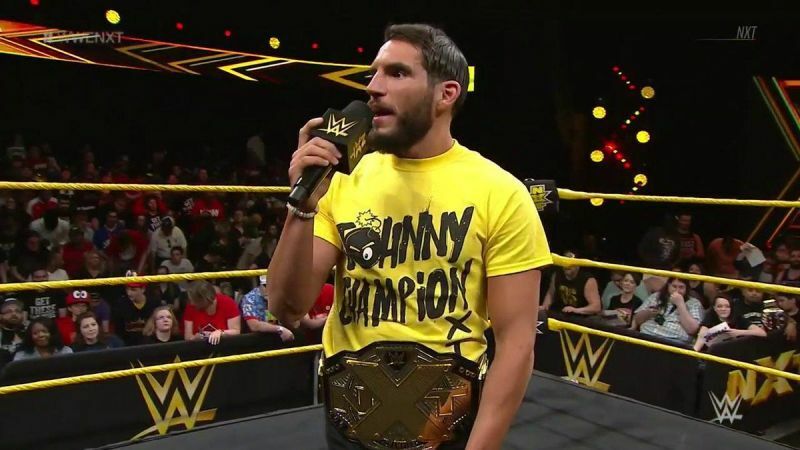 I know they said 2-out-of-3 would be definitive, but if we get Johnny Gargano-Adam Cole part 2 in HIAC or falls count anywhere, I’d find it in my heart to forgive them. 2. Shayna Baszler watches Dark Side of the Ring. She thinks it’s a comedy. She is PURE EVIL. She is as pure of a heel as there is. She is the anti-Ricky Steamboat. 1. 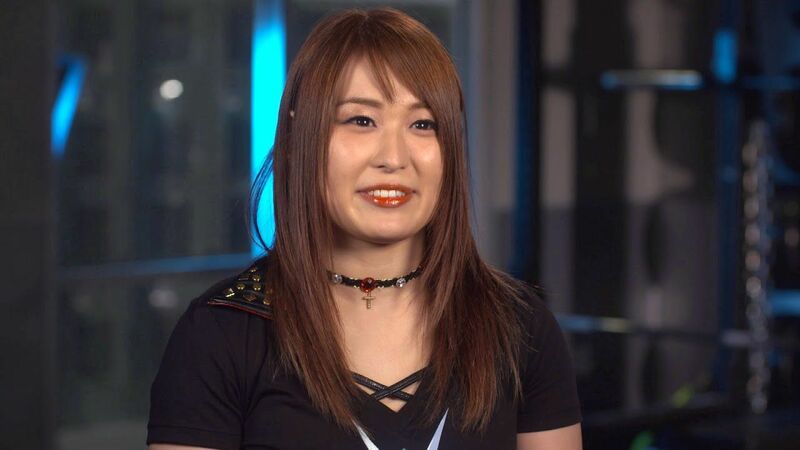 I’m trying to overlook how poorly WWE handled Kairi Sane’s last NXT match. Instead, I am focusing on how much it adds to the inevitable Baszler-Io Shirai matchup. Shirai has improved in ring every time out, but she’s still anime nicey nice. It will be exciting to see her turn up the emotion and intensity and really look to hurt Baszler as payback for her best friend. This one could steal the show at the next Takeover. Will we ever see the anticipated rematch? Keith Lee and Dominik Dijakovic tore the house down in their first WWE NXT encounter, and Scott Mcleod is eagerly awaiting the rematch–just like the rest of us! Cast your minds back several weeks when we saw a short but physically impressive match between Keith Lee & Dominik Dijakovic. We saw Lee get monkey flipped only to land on his feet and Dijakovic hit a corkscrew plancha to the outside. The match unfortunately ended in a double count out but we were lead to believe this wasn’t over as they continue to brawl while refs try to pull them apart. They were scheduled to face off on the episode where the 5 way to face Gargano took place and that was the focus of that episode. A week or so later Lee said they would settle their differences in two weeks time.Two weeks should have this week but Lee was nowhere to be seen. Dijakovic came out and beat an enhancement in record time before declaring his intentions to challenge for the North American Championship. Judging from this week it looks like they’re feud is done which is just a shame. They teased us with what could be with that match several weeks ago. Two guys who have the size but can pull out incredible displays of athleticism. Put that on a takeover give them around 10 minutes between two title matches and they would tear the house down. It would be a shame to not see this match at least one more time in NXT. 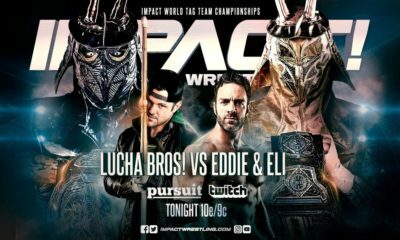 If a few weeks ago didn’t convince you then check out their match from the PWG Battle of Los Angeles 2017 which was rated 5 stars. It would be something different to everything else on the card. 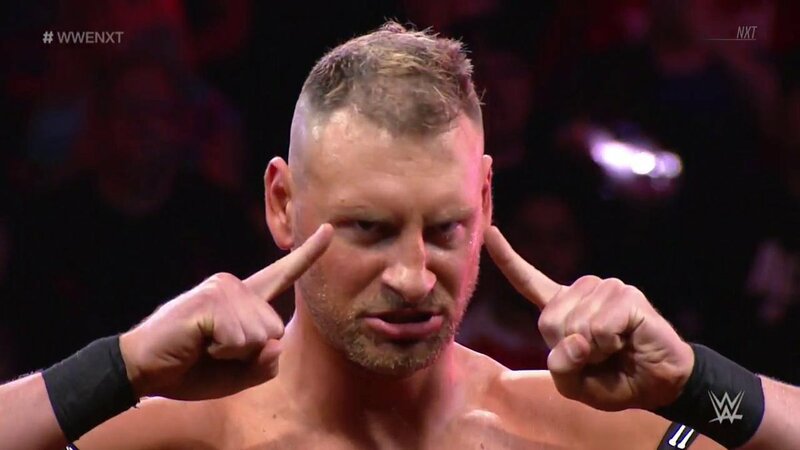 If Dijakovic is set to challenge Velveteen Dream can we not not add Lee and make it a triple threat. Think of how good Dijakovic vs Lee was and add the Dream. 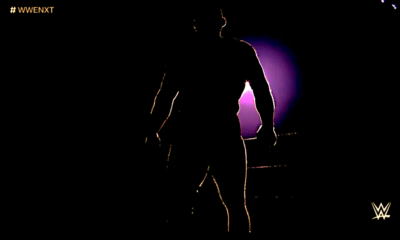 Don’t tell me you don’t want to see that on a Takeover. They could have a good build as well. You have the charisma of Lee & Dream along with the intensity of Dijakovic. I need to see that now.